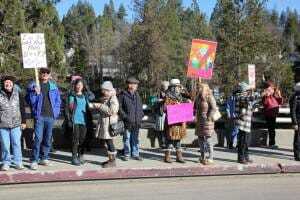 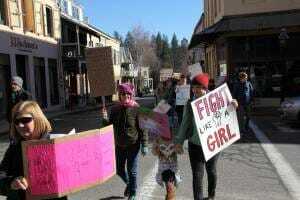 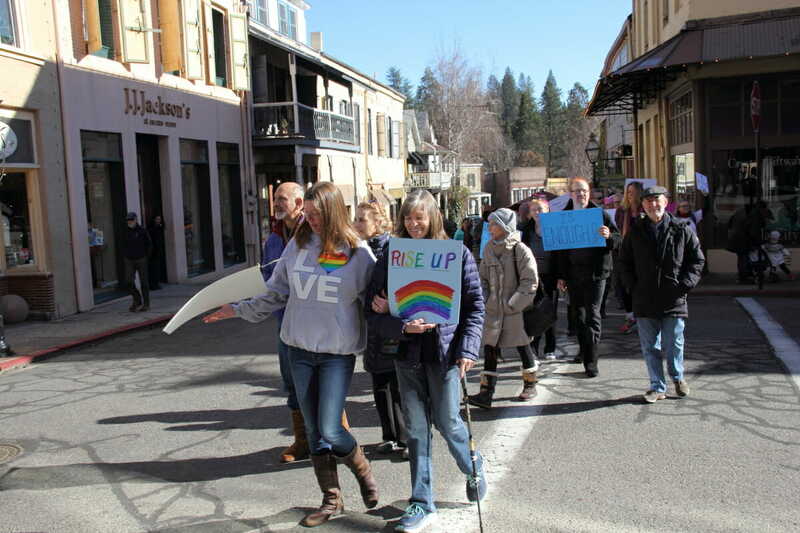 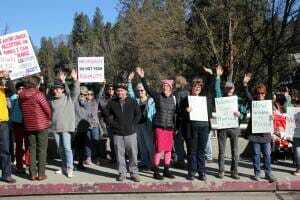 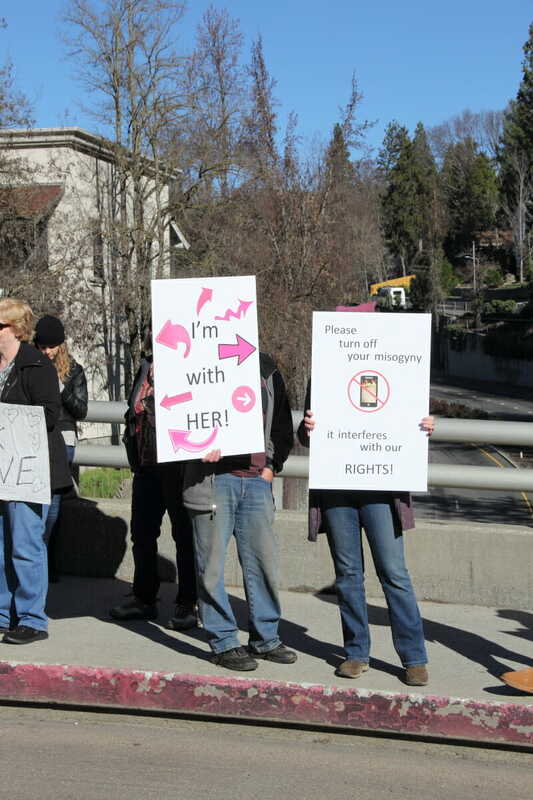 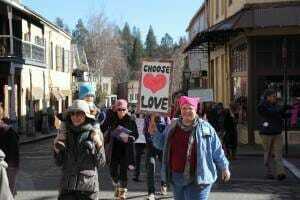 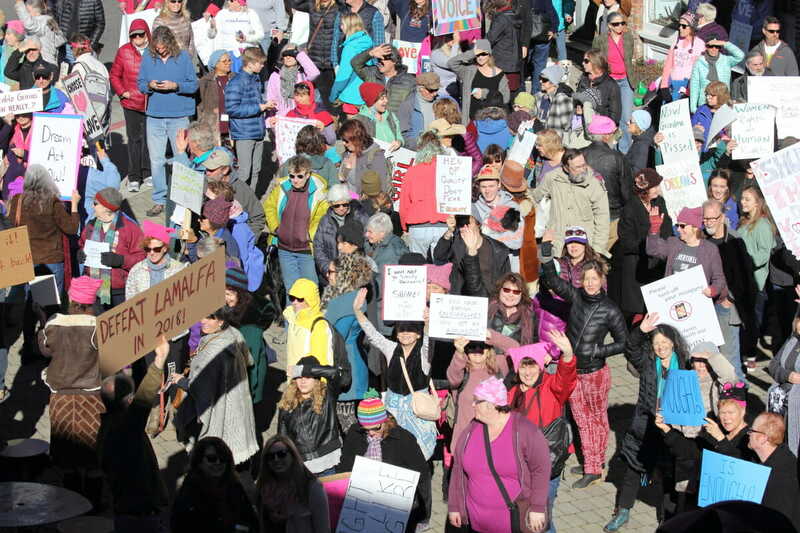 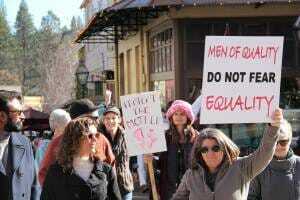 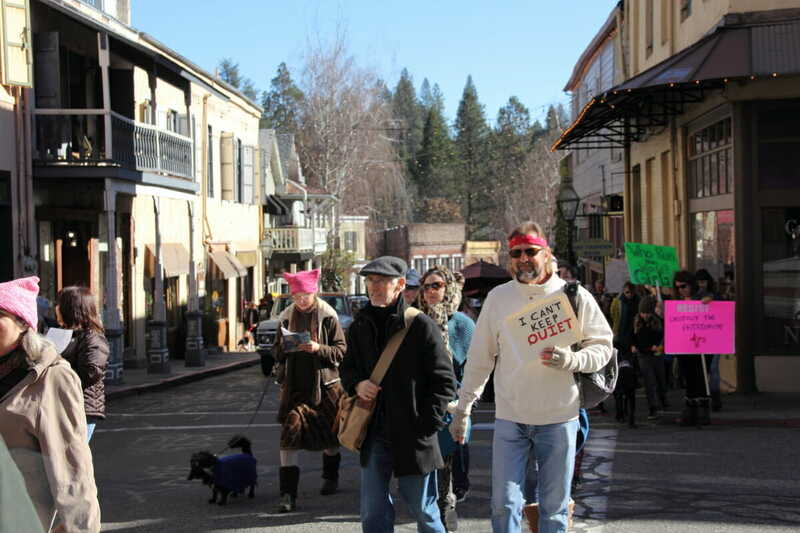 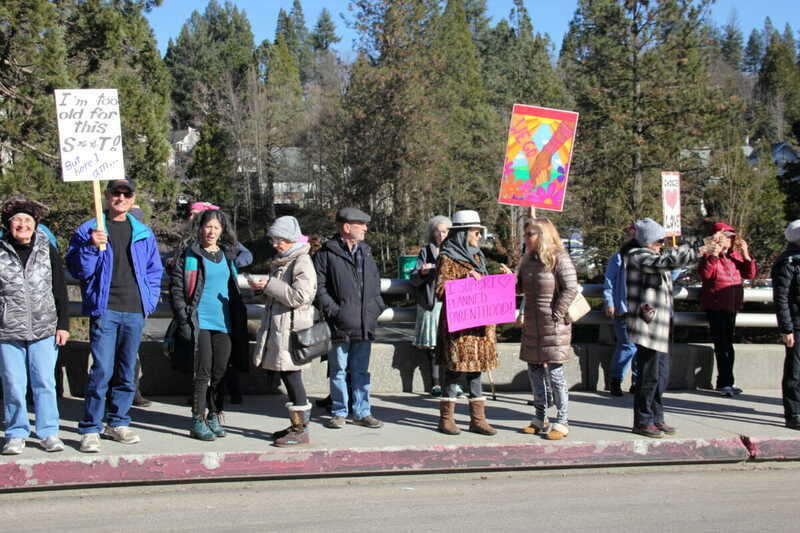 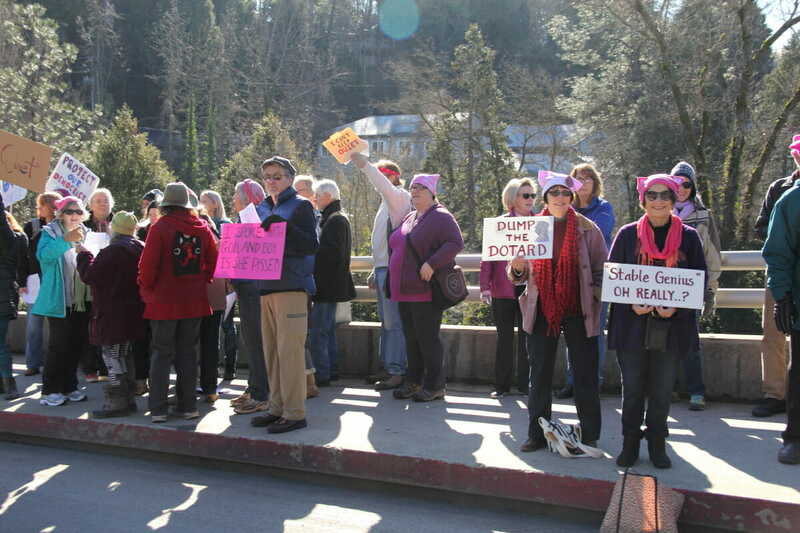 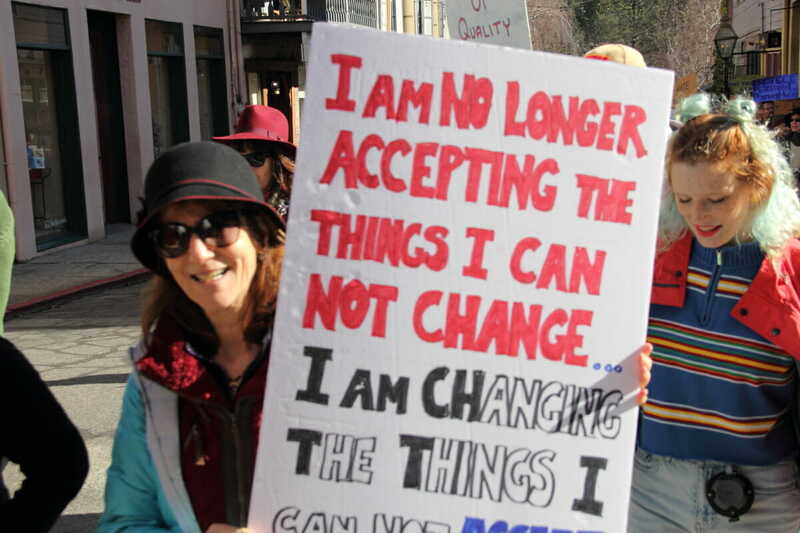 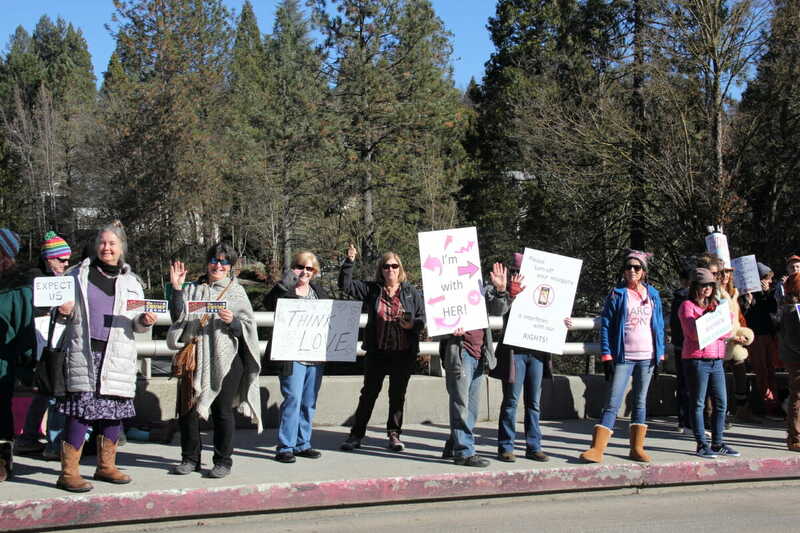 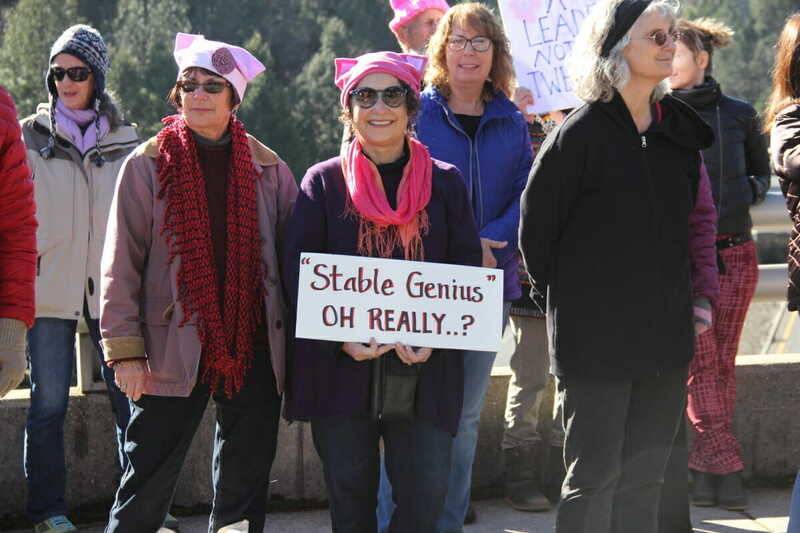 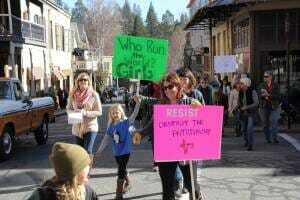 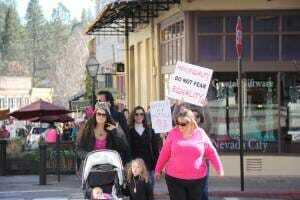 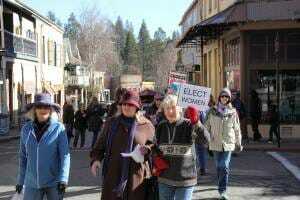 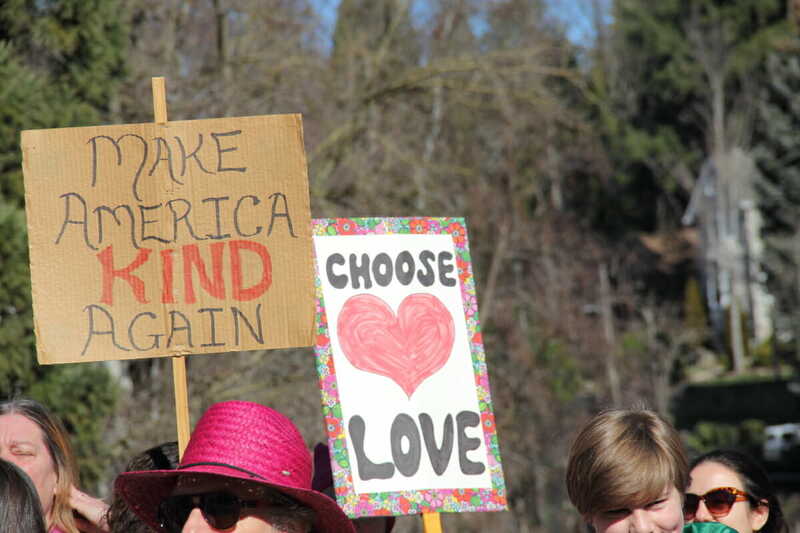 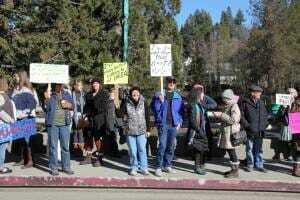 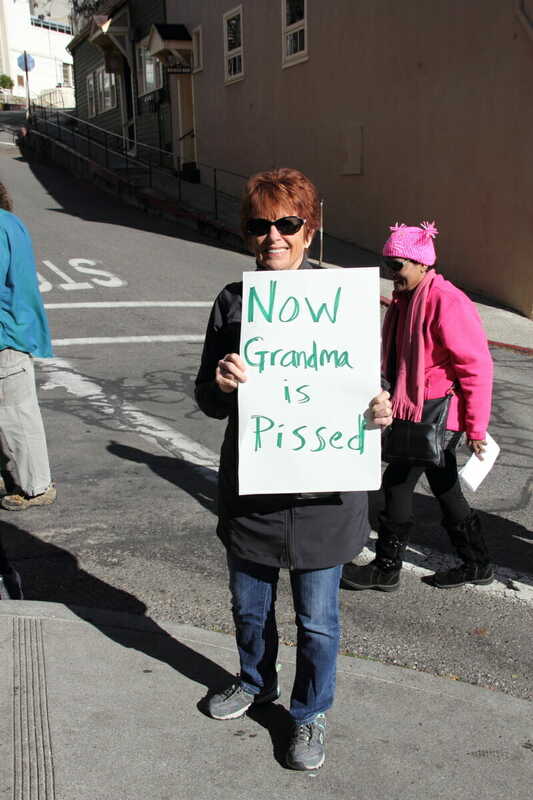 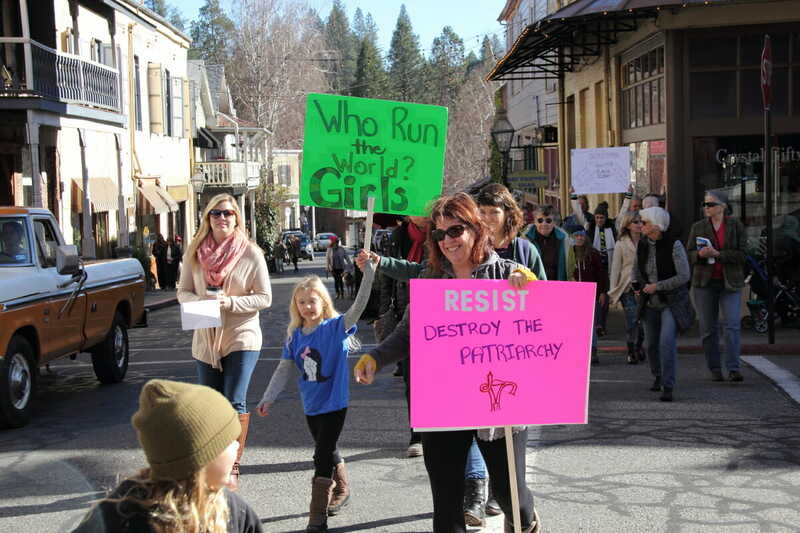 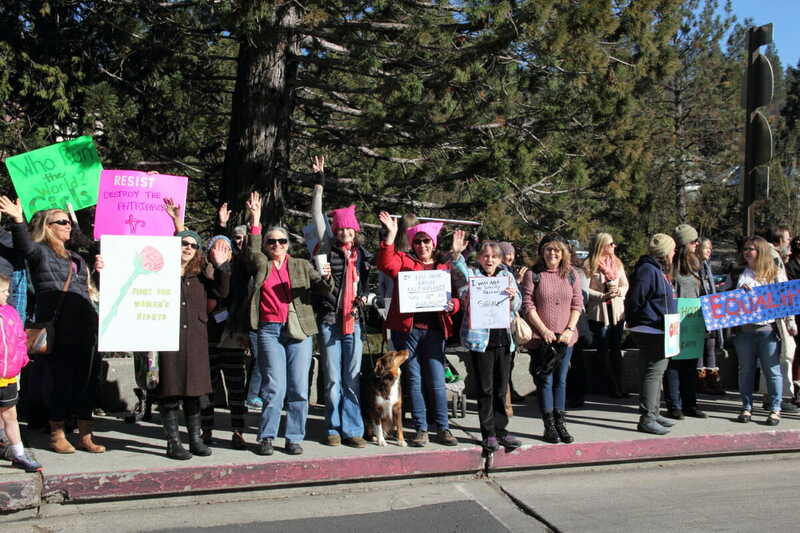 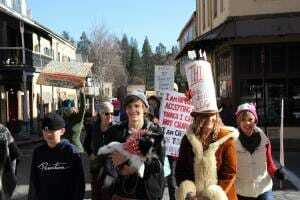 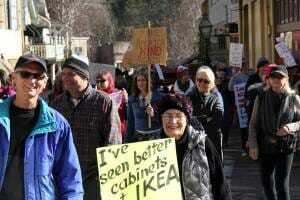 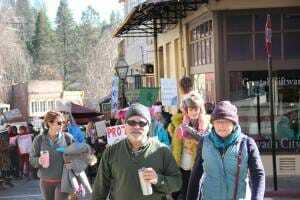 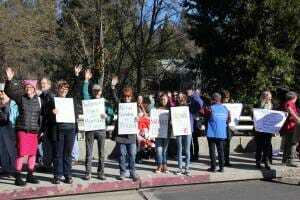 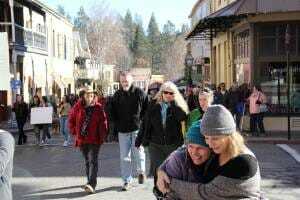 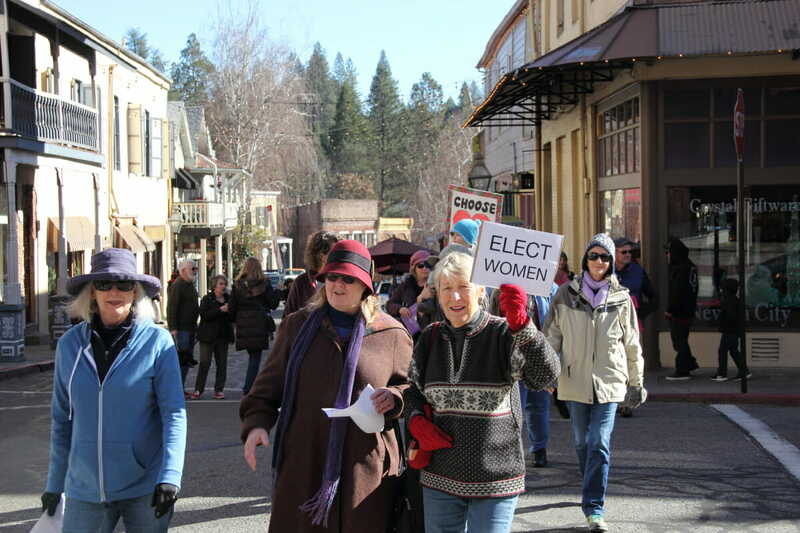 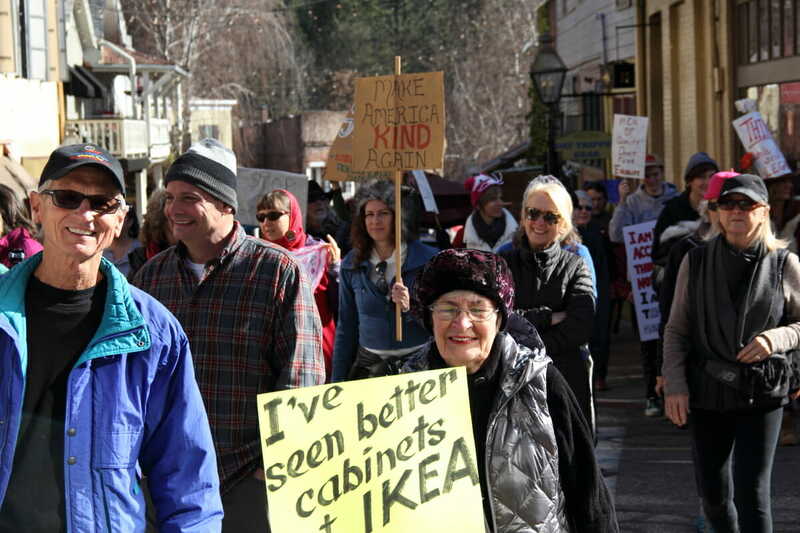 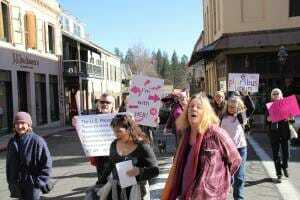 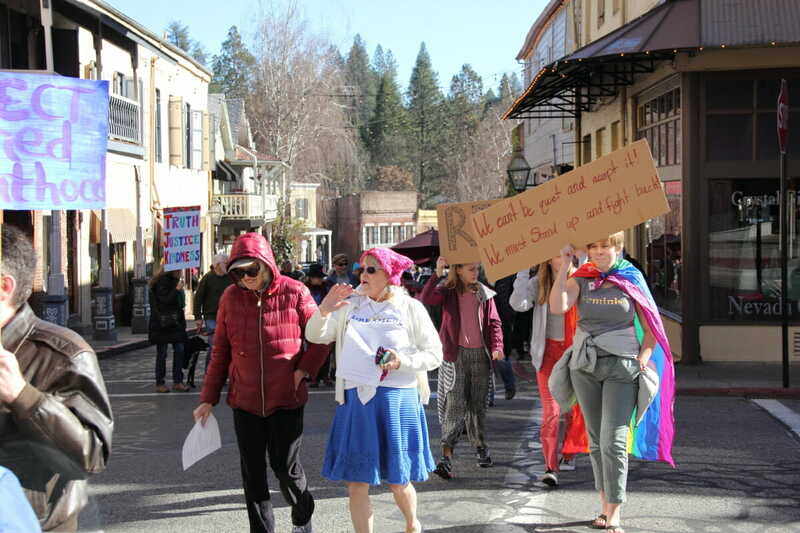 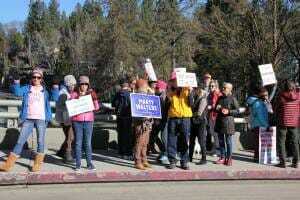 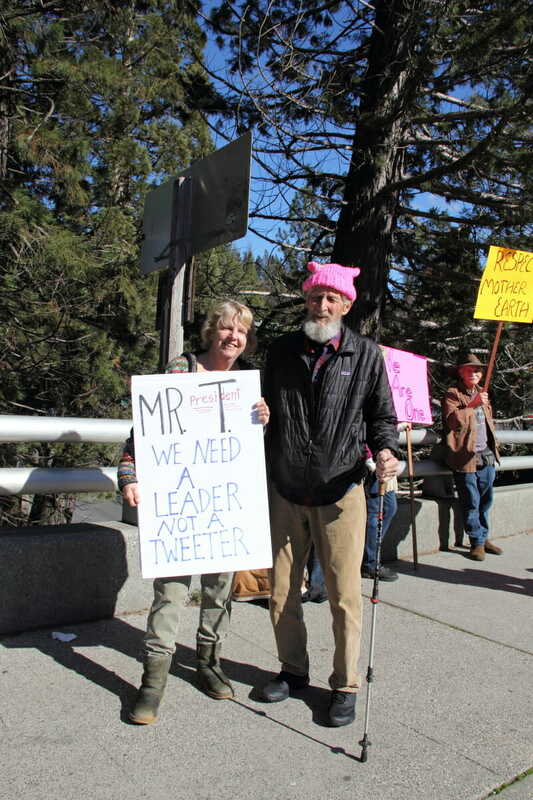 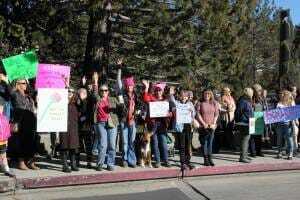 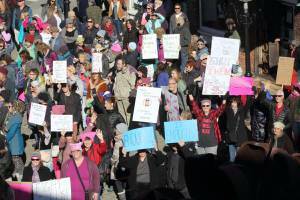 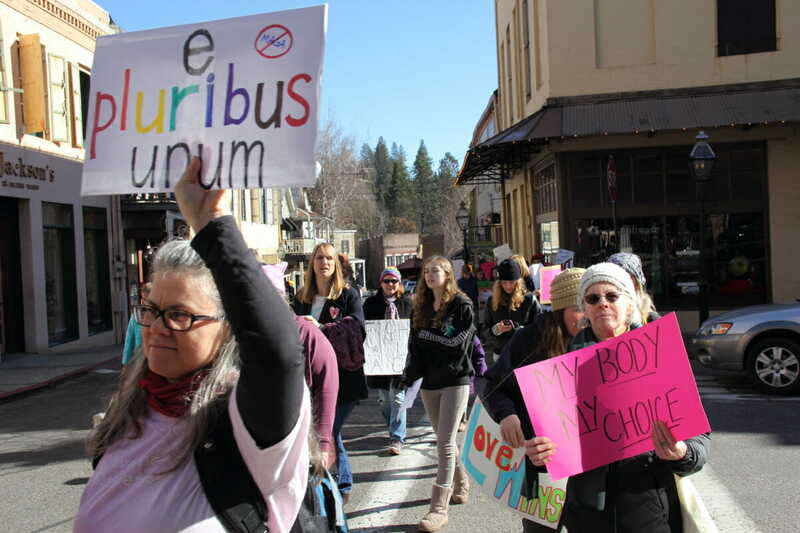 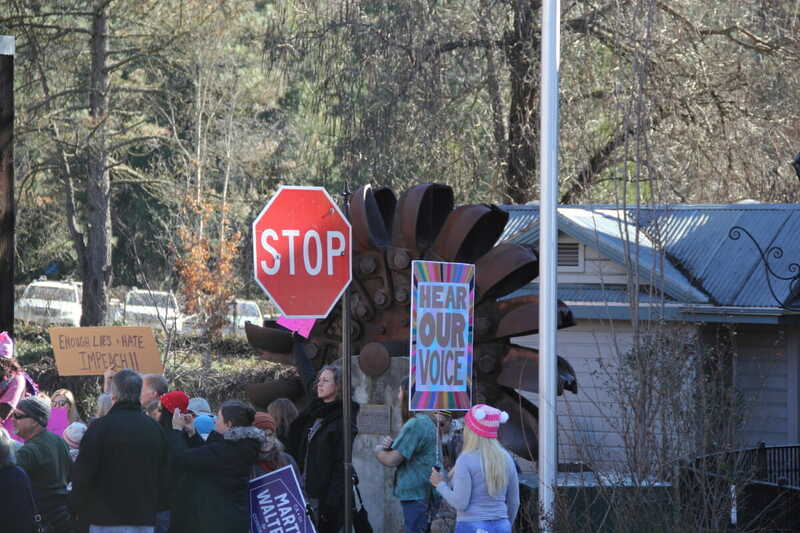 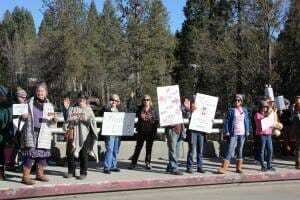 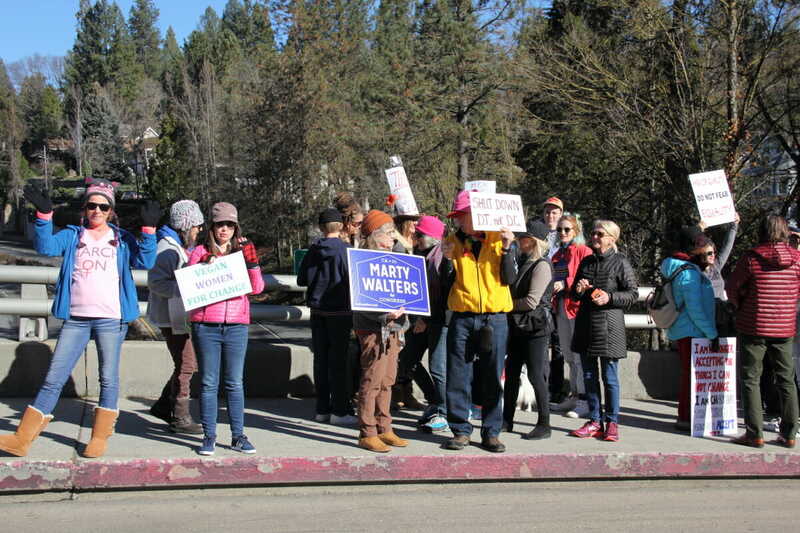 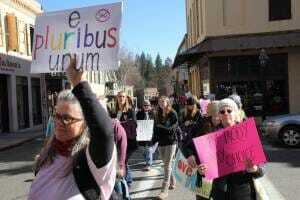 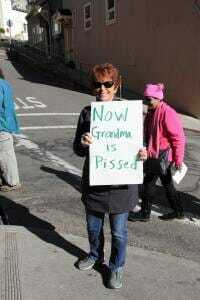 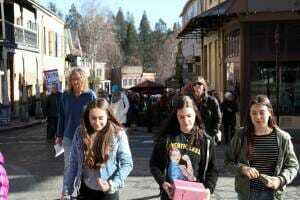 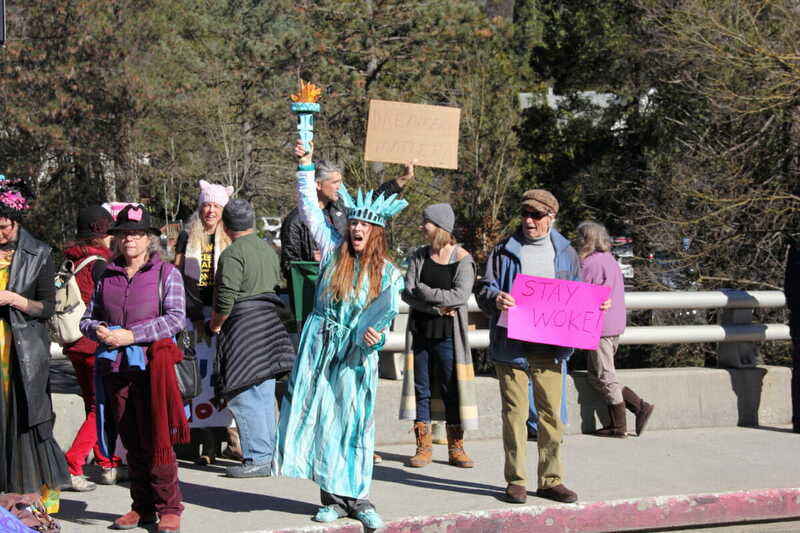 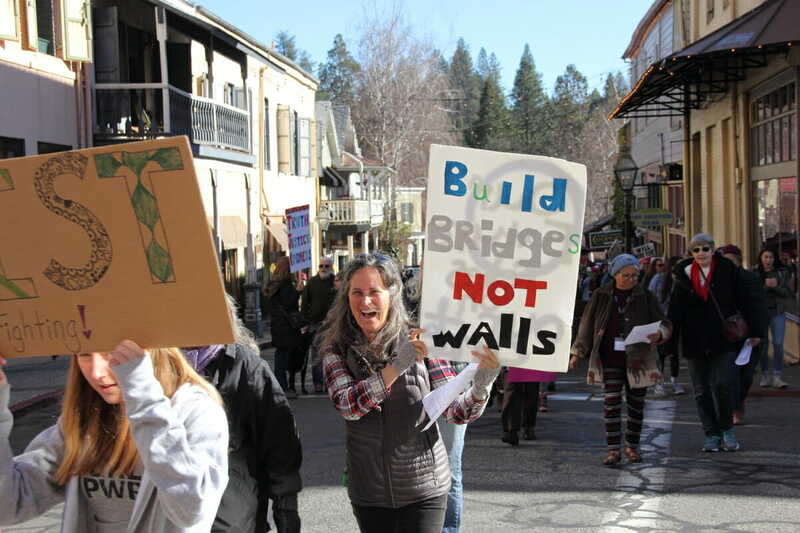 NEVADA CITY, Calif. January 20, 2018 – A sunny Saturday greeted some two hundred people participating in Nevada City’s 2018 Women’s March. 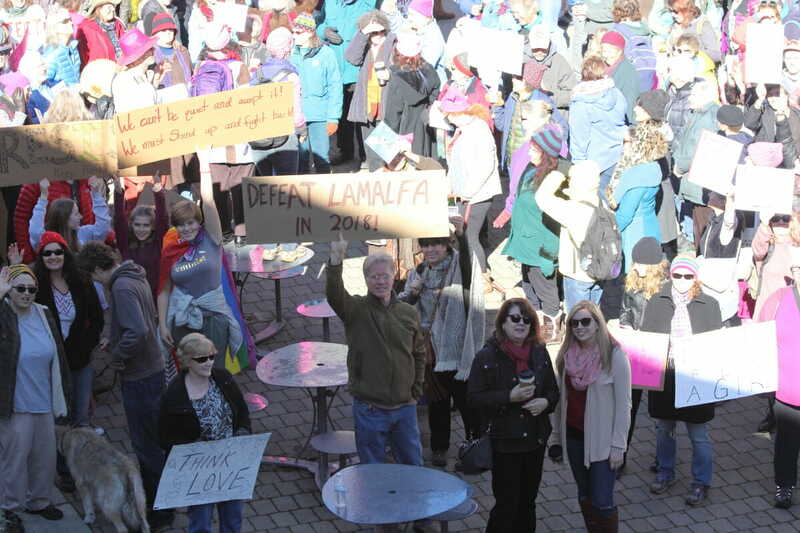 The group assembled on the Broad Street overpass, then gathered at Robinson Plaza before walking up Commercial and down Broad Street’s sidewalks. 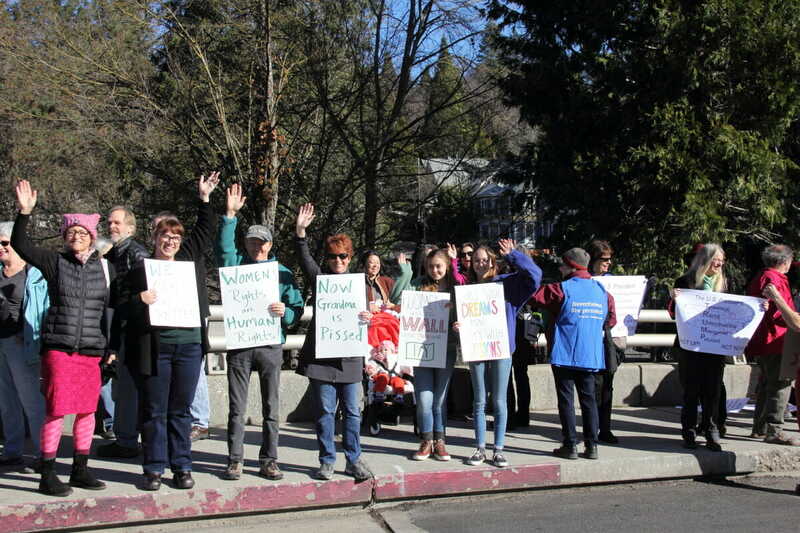 The march concluded with music and songs on the overpass. Below is the march coming down Broad Street. 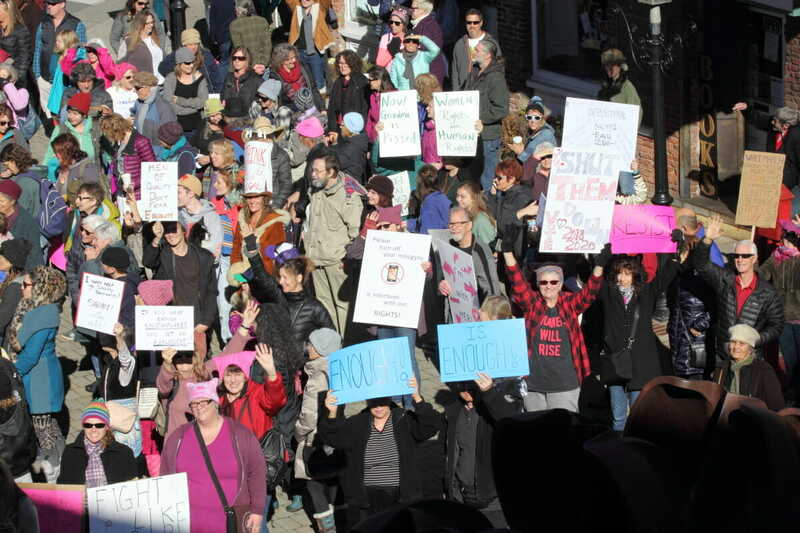 So proud of our local folks for the courage and integrity to speak out and stand up. 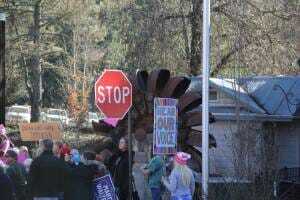 The signs clearly say the policies that need to be enacted for the people and ideas to be embraced by the people.